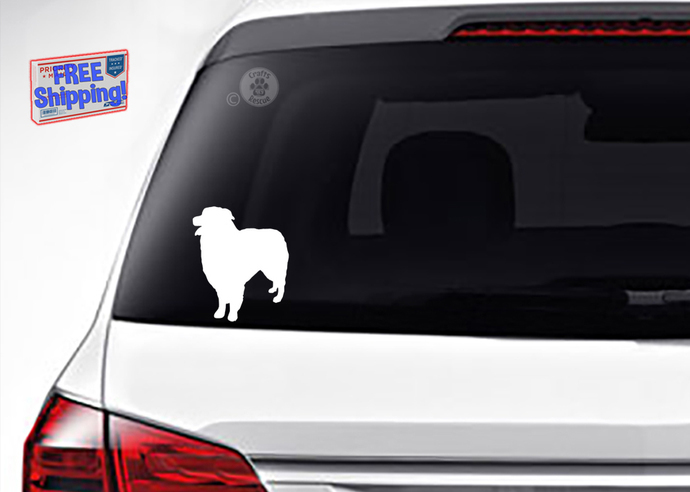 Available in two sizes, our Australian Shepherd Silhouette decals come in a SMALL size of 3.5" high x 3" wide; and a LARGE size of 4" high x 3.5" wide. They're also available with the dog facing left or right. 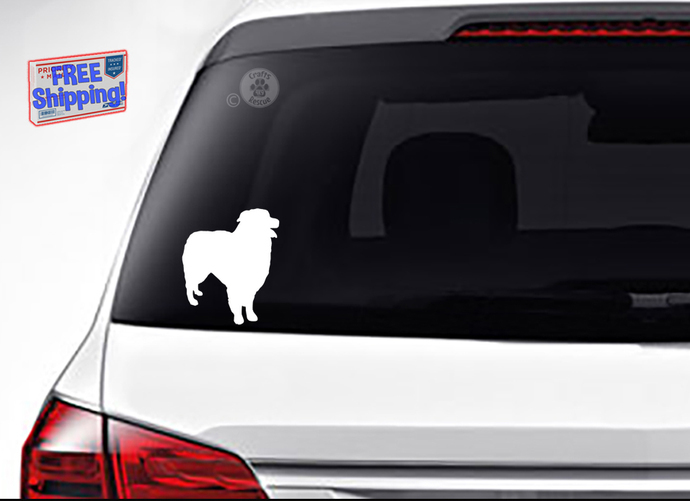 NOTE: This listing is for one (1), matte white, exterior grade vinyl decal as shown in the photo(s), in the selected size and dog facing variation.